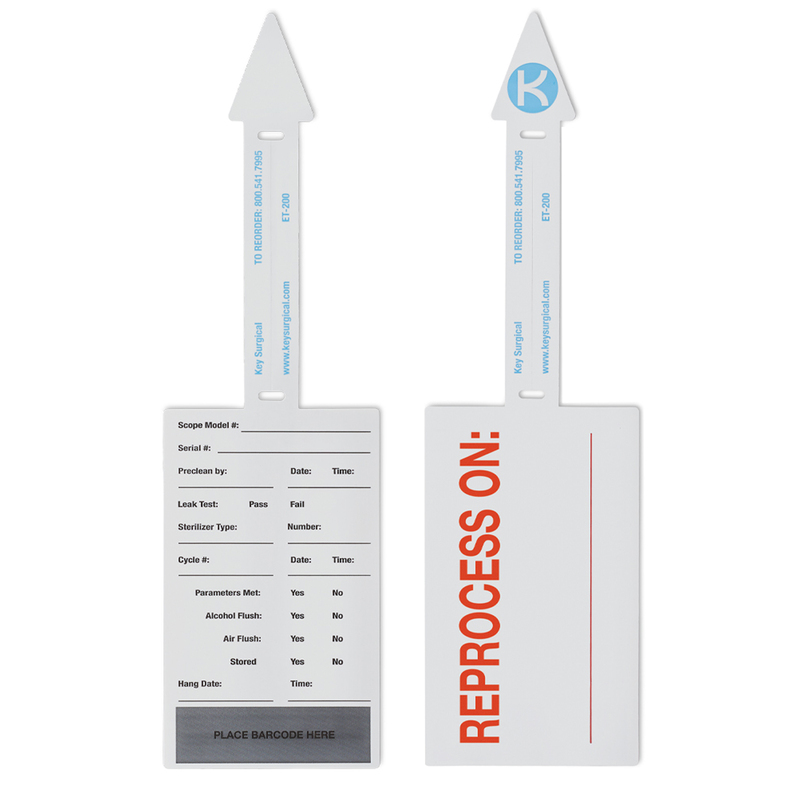 Double-sided, tear-resistant tag is great for capturing detailed information regarding scope reprocessing such as scope model #, leak test (pass/fail), etc. Also features a location for affixing a barcode for additional tracking. Compatible with steam and gas plasma sterilization. Single use. Customizable. Each package includes a lab marker.